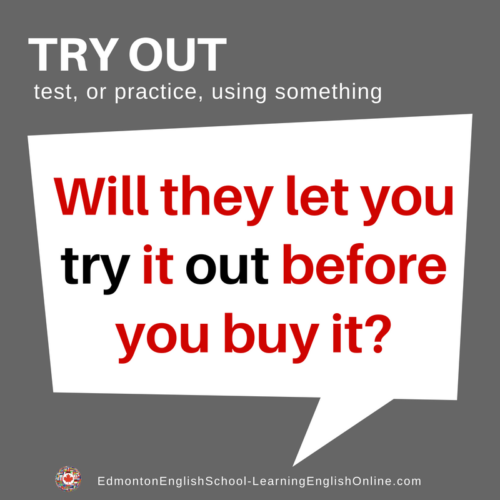 What is the Meaning of TRY OUT? If you try something out, you test it, or practice using it, to determine if it is what you want. For sports teams, the meaning changes a little. You try out to see if your skill is good enough for the team. Are you going to try out for the basketball team? I would like to try this new recipe out. Go ahead. Try it out for a week and if you don’t like it, you can return it.